What a great time the following weekend @ SPSBoston! The organizers did a fantastic job as usual. Thank You to my session attendees. I’m hoping you learned at least 1 thing. I appreciate the great questions and the positive feedback! I had an amazing time up at SPS Boston and hope to have the opportunity to return next year when it will be at the new Microsoft office in Cambridge. So a few things, my slides are available on Slide Share http://www.slideshare.net/tommdaly/developing-branding-solutions . I’ve added some Resources at the end of MSDN articles. I’ve added in the beginning a listing of tools and some links which I grazed over during the presentation but you can find out more from those links. Thanks again, don’t hesitate to contact me with comments or questions. 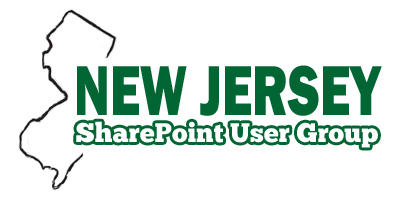 Thanks to the SharePoint Saturday Philly team, it was a pleasure to be part of the event again! The year was just as spectacular as last years. These events are huge opportunities for people like myself, to network with individuals that are involved in the same type of SharePoint work. I also sat in on a few sessions around SharePoint development as I’m interested in what people are doing, how they are doing it and the tools that they are using. I scored a few brain nuggets and that’s what keeps me coming back for more. So thank you to my attendees for listening, I’m glad I didn’t put many of you to sleep J ! This was my second go at this new material that I’ve put together and I feel that it went extremely well. If you have any follow up questions or comments you can leave them for me here or email me (address in the slides). I’m very surprised and happy to announce that I am one of the many to receive the Microsoft Community Contributor Award for 2011! Not entirely sure how I got it but most likely due to my many postings/answers on TechNet/MSDN in the SharePoint forums. I consider this an honor to be recognized by Microsoft for my contributions to the community and look forward to continuing to contribute. To my attendees, thanks for coming and to SPSPhilly… thanks for having me. What a great time out there, met lots of great people. I’m attaching my slides which contains some good links to valuable items in the branding realm. Also as promised I’m posting the Master Page Deployment portion of my presentation. This portion contains the Visual Studio 2010 (VS) solution which is all setup to deploy a custom master page, css, favicon, jquery … etc. This is demoed code, so download, experiment, and above all use at your own risk. So here are the links to the SLIDES and SPSPhilly MasterPage Solution. For those that want to use the solution on their test server there may be a couple things you might have to change in order for it to deploy using the VS 2010, Build -> Deploy action. 1. Once you unzip, In the top level look for, SPSPhilly.MasterPage.csproj.user. 3. Change the SharePointSiteUrl to your target site. The first line shown won’t have to change unless you change the name of the solution that is generated by VS. The second line you would have to change to your target site collection url. So if you examine the rest of the script it’s all STSADM commands that are executed. Running the script it would first deactivate, retract, and delete the solution Next it would add, deploy, then activate it. Wells that’s about it. Please feel free to comment or email me if you have any problems.